Although over 30 different species of butterfly have been recorded at Fleet Pond, some may not be easily seen as they tend to stay in the areas in which they bred. Where the path starts at the end of Westover Road towards Wood Lane there are patches of bramble which, when in flower, provide a good nectar source for the Speckled Wood. This is a butterfly that likes areas dappled with sun and shade and it is most noticeable when settled on bramble with its wings wide open. As it has several generations, it can be seen from March until September. On the Wet Heath opposite Wood Lane, one or two Graylings may be seen from July until mid- September. Their camouflage is so great that if they settle on a Silver Birch trunk they will be very difficult to spot. Continuing along to the bridge over to the Ministry of Defence land and then walking along the path towards the field will possibly allow you to see Silver-washed Fritillaries and White Admirals at any time from late June until August. Although not actually part of Fleet Pond Nature Reserve, the path provides a good opportunity to see these and other butterflies nectaring on the plants there. When you reach the field in July and August Large Skippers, Small Skippers and Essex Skippers will be buzzing around. Their flight from grass stems to nectar sources makes it very difficult to follow them but once settled they will pose nicely. During July and August, on the bank of bramble, the Gatekeepers will be nectaring. There may also be Meadow Browns, Speckled Woods and other butterflies enjoying the feast. Some of these species will also be found on the Dry Heath, which is situated between the picnic site and the car park. You might also get a glimpse of a Small Copper in May or again in July and August, as this butterfly has two broods. Along the path leading from the car park towards Boathouse Corner I have sometimes seen the odd Small Heath which has two broods in June and August/September. In the grassy area the other side of that path (adjacent to the railway line) there are usually lots of Gatekeepers in July and August. 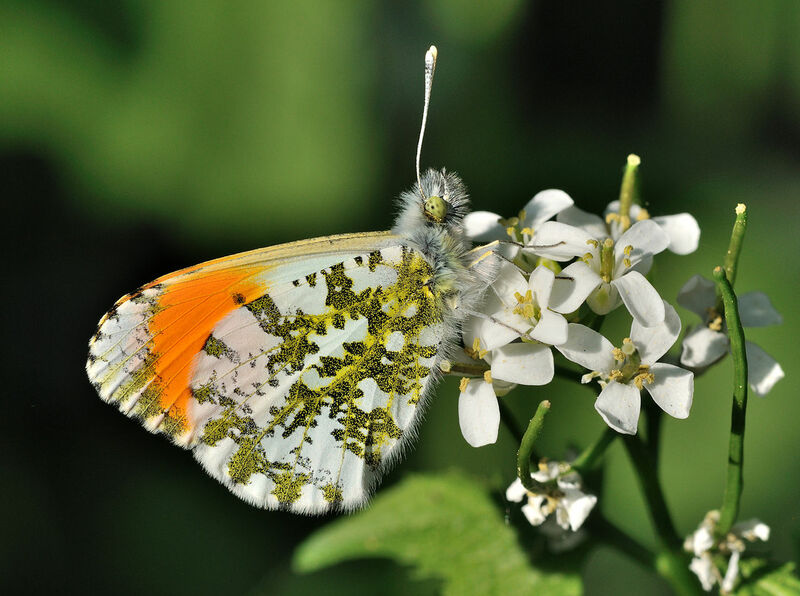 The butterflies that I have mentioned are summer-flying ones but in the spring I have found the path from Avondale Road to the Brookly Bridge particularly good for Orange Tips. 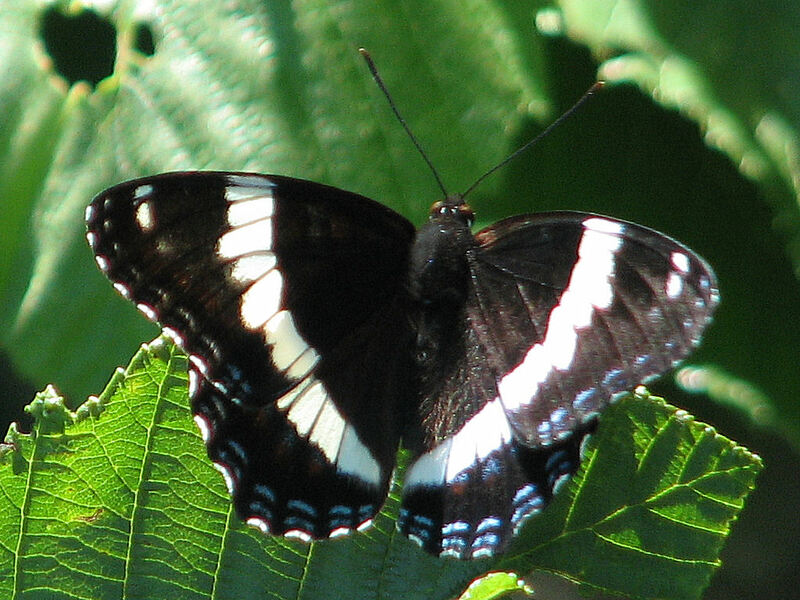 These and other butterflies, unlike the other more sedentary ones mentioned in this article, fly longer distances and may appear almost anywhere. 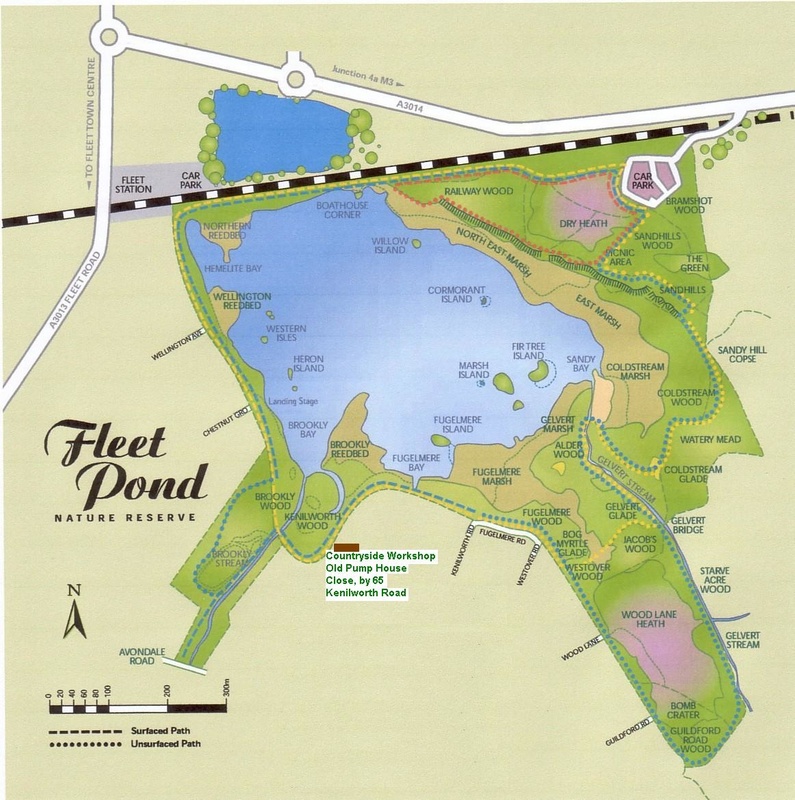 A version of this article was originally published in the Fleet Pond Society (FPS) Newsletter for Spring 2012, which is available to members of the Society. If you would like to join FPS, please see the ‘Joining FPS’ page above. Further information on butterflies at the Pond can be found in Peter’s series of posts on this blog: see the overview here. Picture credits: White Admiral and Orange Tip. Whilst preparing this post, I noticed a newspaper article on how the recent bad weather has been affecting UK butterfly populations, see here. Some of Britain’s butterflies and moths are experiencing a terrible season because of the unrelenting wet weather, experts said yesterday. Butterflies such as the marsh fritillary, the black hairstreak, the common blue and Britain’s most endangered butterfly species, the high brown fritillary, are all in much lower numbers than normal, said Richard Fox, surveys manager for the charity Butterfly Conservation. The situation with moths was even worse, Mr Fox said, with only tiny numbers being found in moth traps. Butterflies and moths suffer in cold and wet weather because they mate and feed less regularly. The warnings came as Met Office figures showed that June is set to follow April as one of the wettest months on record in the UK. This entry was posted on Friday, June 29th, 2012 at 4:42 pm and is filed under Uncategorized. You can follow any responses to this entry through the RSS 2.0 feed. You can leave a response, or trackback from your own site.